Alexandria, Louisiana native Bruce Salard will began his duties as the new LQHBA Executive Director on Monday, April 15. 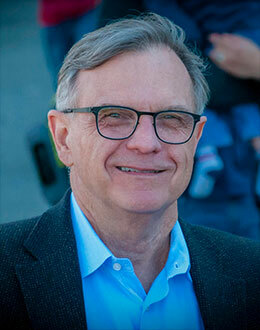 ALEXANDRIA, LA—APRIL 3, 2019—The Louisiana Quarter Horse Breeders Association (LQHBA) is pleased to announce that Bruce Salard has been named executive director of the state-bred racing association. He will replace the position vacated by Tony Patterson, who served as executive director of LQHBA, before resigning last month. Salard was born and raised in Alexandria, attending Holy Savior Menard High School before continuing his education at Louisiana Tech University, where he earned his BS of Finance. He went on to receive his MBA from Southern Methodist University. Professionally, Salard began his career as an audit and tax accountant before joining JP Morgan Chase as a controller and senior vice president. He was recruited by Barclays and spent four years in London serving as finance director before returning to the United States and taking the position as controller for the National Bankruptcy Services in Dallas, Texas. His extensive financial background aside, Salard is well-versed and passionate about horseracing in his home state of Louisiana. 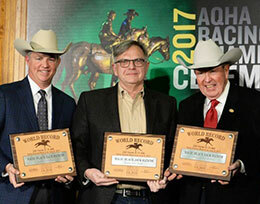 LQHBA president Ryan Robichaeaux has enjoyed a long association with Salard and his father, Willie, a Quarter Horse breeder and owner who had a number of successful Louisiana-breds including Magic Black Jack. The son of Jet Black Patriot set a new AQHA world record on July 8, 2017, winning the 220-yard Flying Breed Stakes at Delta Downs in a sizzling:11.466 seconds, a 118 speed index. "Tony Patterson did a tremendous job for our association for the past 11 years," said Robicheaux. "We are extremely fortunate that Bruce has returned to Alexandria and accepted our offer. He is an excellent businessman, great communicator and knows and loves horses. We believe that with Bruce's leadership, we can continue to grow and take our association to the next level. We are, and will always be Louisiana Strong!" Salard, is thrilled to return to his hometown and direct his business acumen and energies to breeding and racing in Louisiana. "I grew up down the road from Leverne Perry and my fondest memories involved racing," said Salard. "When I was 21, my first horse qualified for the LQHBA Breeders Futurity. My family loved Quarter Horses. The joy of seeing my father breed a world record-setting stakes winner will stay with me forever." 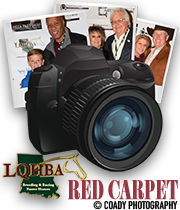 Salard has attended numerous racing events in Louisiana over the years and knows the current LQHBA staff and board of directors very well. "I have many goals as I embark upon the role of LQHBA executive director," added Salard. "It will be important to get to know each of the horsemen and horsewomen who have worked tirelessly to grow racing and breeding in Louisiana. Attracting even more prospective buyers to our two annual sales is another very important priority. This is a very exciting move for me!" The Louisiana Quarter Horse Breeders Association (LQHBA) is the state racing affiliate of the American Quarter Horse Association. 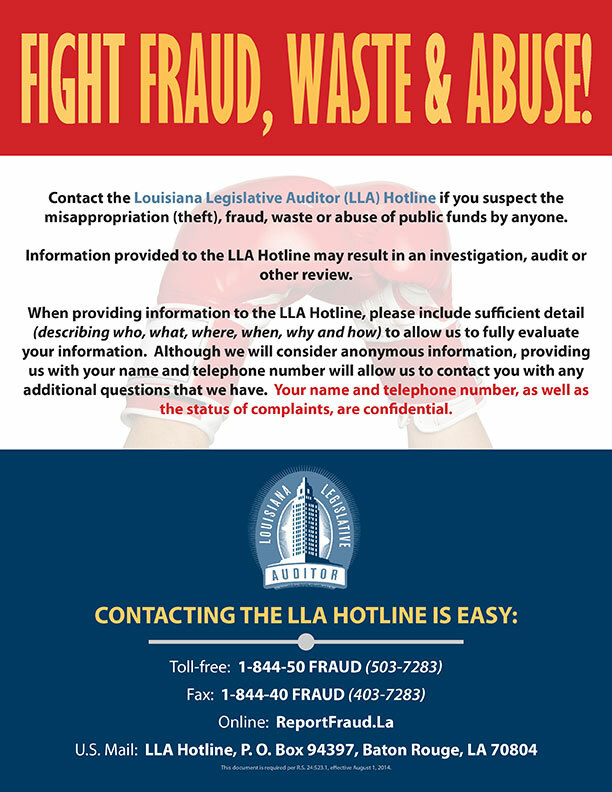 It is also the official registry for accredited Louisiana-bred racing Quarter Horses and is recognized by the Louisiana Legislature and the Louisiana State Racing Commission. Since its inception in 1966, the association has developed many programs to further breeding and racing in Louisiana. Last year in Louisiana horsemen competed for over $21 million in purses, and breeders' incentives for mares and stallions of accredited Louisiana-bred foals totaled approximately $4.7 million. 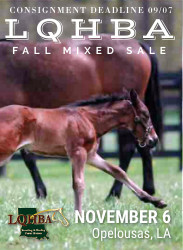 LQHBA oversees the annual LQHBA Yearling Sale and Fall Mixed Sale and has raised and donated over $570,000 to support its Louisiana youth scholarship program.